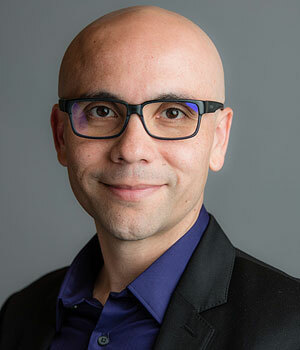 Rodrigo Vaca is vice president of marketing for CRM at Zoho. In this exclusive interview with CRM Buyer reporter Vivian Wagner, Vaca shares his enthusiasm over the marriage of artificial intelligence and CRM. CRM Buyer: What are some of the most significant trends you&apos;re seeing in the CRM industry? Rodrigo Vaca: The rise of artificial intelligence, for sales teams both internally and externally, is the biggest trend in the industry. If you think of CRM as the centerpiece for your company, and you marry that with the escalating amount of data that each company is gathering each day -- about sales activity, social activity and any number of other signals -- then you have a data set so huge that you can do any sort of analysis on it. Really, before the age of AI, this analysis was limited to what a person could think of doing. Now that we have machine power and machines learning, then the possibilities to mine this data increase exponentially. CRM Buyer: In what CRM areas is AI most important? Vaca: The biggest one is helping salespeople be more efficient in their daily lives. Most of the indicators that a sales manager has today about how their business is performing are lagging indicators. If you think about revenue, that&apos;s already in the past, so you&apos;re one step behind. The thing with AI is that it allows you to go all the way back, to look at not just the leads that marketing is generating, but at the activities your team has been doing. We call that early detection, and that allows you to see, for instance, that the volume of calls that you&apos;ve been getting in the Midwest region has been lower for the last two months, versus the average for the last three years. You can get that sort of deep analytical insight with AI. That&apos;s just one aspect. How does your company use artificial intelligence to support sales? Another way is being more knowledgeable about each particular customer. So, for instance, what is the best time to catch a customer? There are algorithms that we apply to help a sales team know the best time to catch a particular person by phone or email. The third and last way is helping sales reps be more productive. We in the CRM industry know that sales reps get in the game of sales because they enjoy the thrill of the hunt and engaging with people and reaching quota. They don&apos;t get in the game because they like sitting in front of a computer, working with software. What AI can help sales reps do is engage with their CRM in a faster and more efficient way. CRM Buyer: What role do you see social media playing in the effectiveness of CRM systems? What is the key to effectively managing social media interactions for salespeople and managers? Vaca: I think that&apos;s highly dependent on the industry that you&apos;re in. Social media is an important channel for companies to interact with their customers. We take a holistic view to social media, telephony and email. How can you circle back any opportunity back to a social media channel or engagement? And how can you tie your scheduled social media promotions and content to CRM so you have those two working together? A few years ago, social CRM was the king in the market. Lately, social media has become an integral part of any CRM system. CRM Buyer: Why is it important for salespeople to reach out to prospects at the right moment? How can they determine when the right moment is? Vaca: They have to reach the right person at the right moment. For each and every prospect, they have to evaluate what the likelihood is that a particular person is going to engage, in real time, and that can open up a variety of actions. The right time is important because we are inundated with marketing and sales pitches and people trying to get in touch. Up to seven or eight years ago, there was the rule that you would send an email campaign at a particular time. Really what we&apos;ve seen on the marketing side is that those things don&apos;t tend to matter as much. Now, instead of coming up with blanket rules, you need to do this on a customer-by-customer basis. When should you contact a particular customer? It can be based on when he opens his email, or when we&apos;ve seen him tweeting, or what time we&apos;ve been able to contact him in the past. That&apos;s good information to leverage. CRM Buyer: What&apos;s in the future for CRM? How is it evolving? Vaca: CRM is increasingly becoming the most important piece of software that a company has. Companies place CRM at the center of how they engage with customers. This is not just from a software point of view. They put their CRM strategy and customers at the center of everything. All of that is backed with data that you have about your customers. The best place to have data about your customers is in your CRM system. As the volume of data increases, we&apos;ve seen companies become much more serious about CRM.